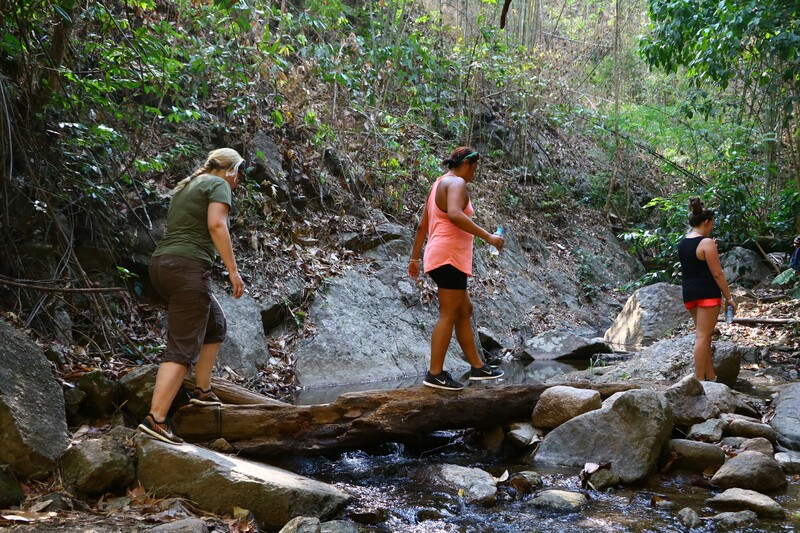 This 5-Day field trip itinerary is a fantastic introduction to the outdoors and adventure-based activities. 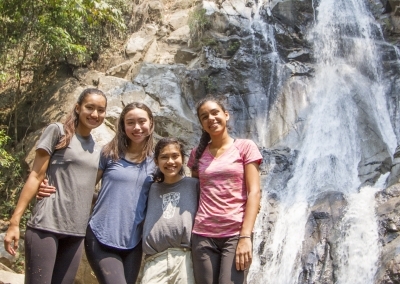 Short enough to fit comfortably in a Monday – Friday time frame, this is one of our highly popular field trip options for International School groups joining us on week long residential and expedition programs that often include the DoE, NYAA or Project Weeks. 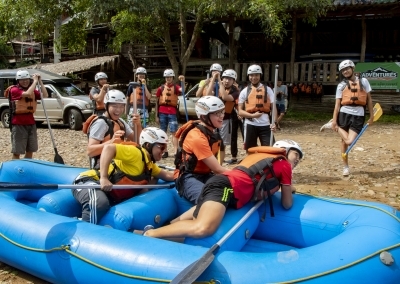 Suitable for ages as young as 12 years, this field trip can be further tailored to meet the demands of older, fitter, and quicker participants too. 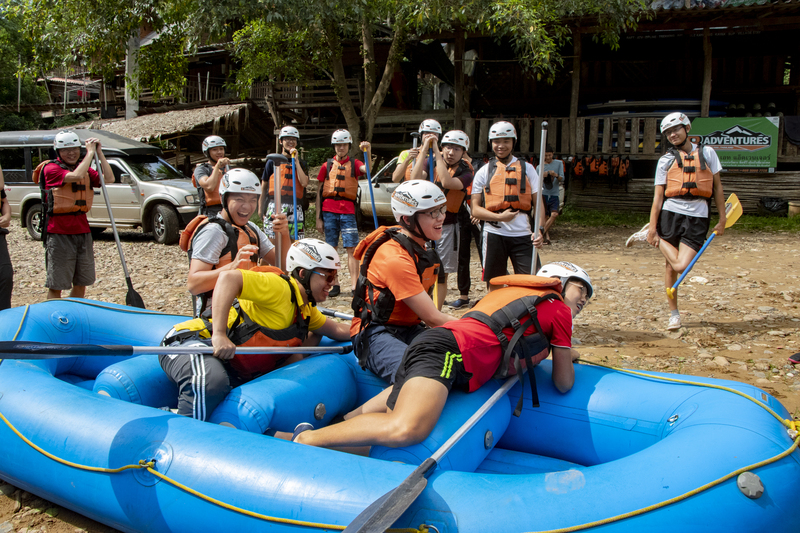 In summary, this field trip is a perfect combination for those looking for an all-rounded and equally varied and diverse week of activities in Chiang Mai. 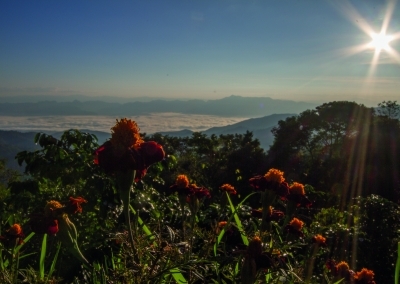 Trek along mountain ridges with unbeatable 360-degree vistas and Thailand’s 3rd Tallest mountain in the backdrop. 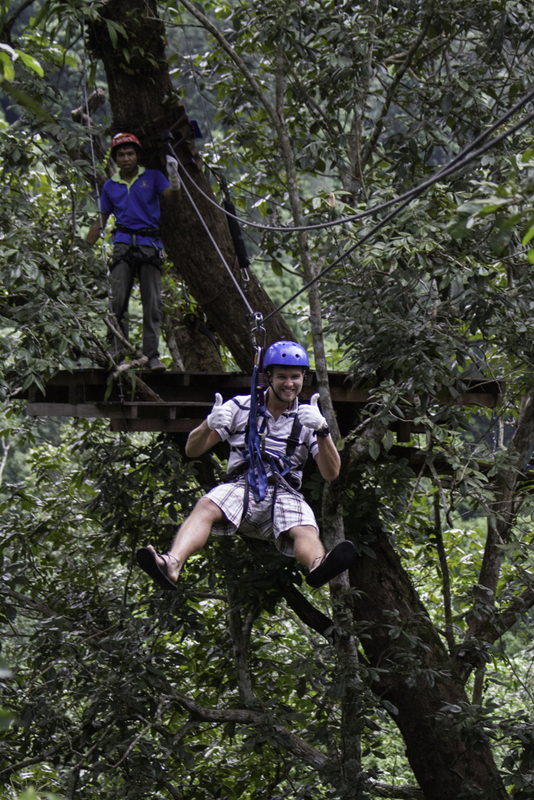 Spend an afternoon soaring through the canopy on ziplines and Whitewater Rafting with Thailand’s premier rafting company. 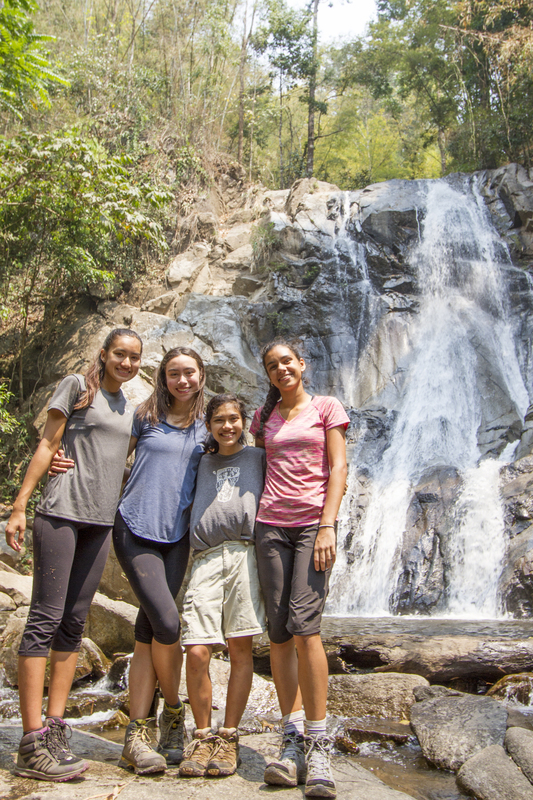 This field trip allows you to immerse into local cultures and explore the lifestyles of ethnic minority hill tribe communities – all of which within safe and nurturing environments. 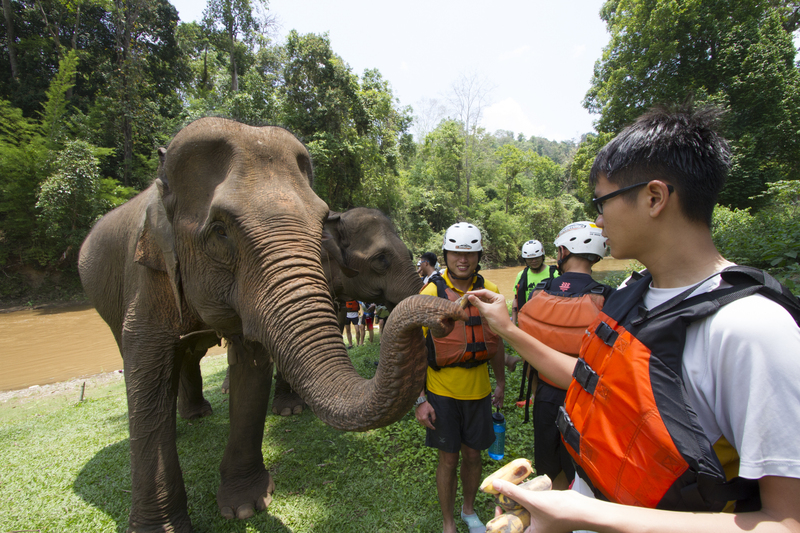 We operate all our field trips in unparalleled outside the classroom learning environments which combines excellently both education and adventure. Set your goals and achieve the unexpected in yourself, reflect and grow through meeting new challenges both as a team and individually. 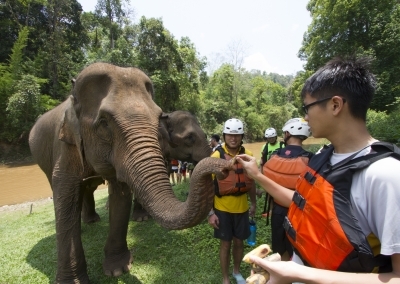 All our field trips are suitable for complete beginners and can be varied in difficulty to cater to the needs of different ages and abilities. 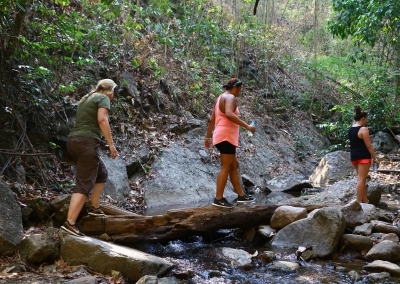 Within all our field trips consideration and appreciation for the environment is an ongoing theme. 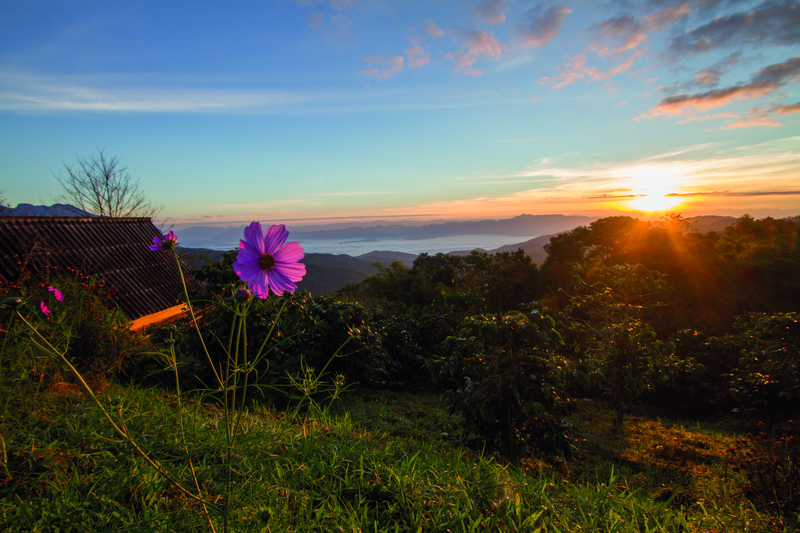 From learning about medicinal properties of different plant species, to getting hands on and involved in understanding how local communities live in harmony with their environment, sustainable living and environmental protection is something that we strive to both embrace but also share with others. After pick up from Chiang Mai International Airport we will transfer 3hrs north to the National Park Forestry Center. 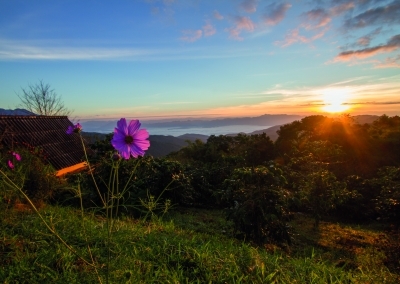 This has undoubtedly some of the best views – best appreciated at sunset and sunrise – in all of Thailand. From the cabins that we stay in, views across the entire Chiang Dao region with the pinnacle being Thailand’s 3rd tallest mountain right in front of us. Depending on the time of arrival, and available time before dinner and nightfall, we have a few options to fill the time. 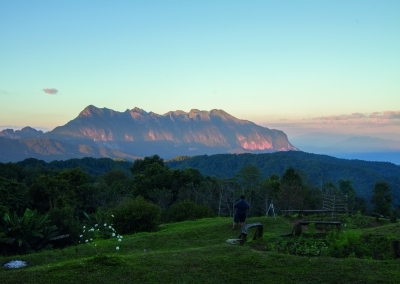 After our stunning sunrise across Chiang Dao followed by breakfast, we will prepare our departure for our full-day trek. 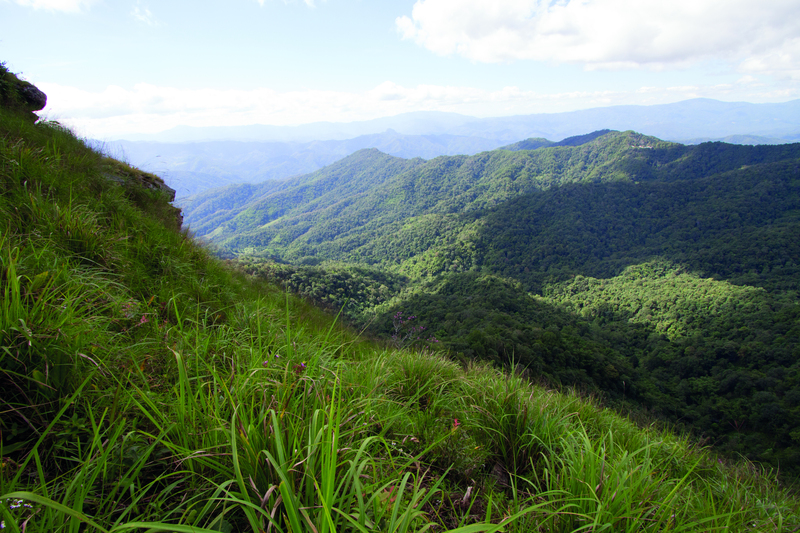 Approximately 10 km in total distance this trek snakes up the ridge raising 300 meters in the first 3 km. This part is a 4x4 road sometimes navigably possible depending on the time of year, but we will walk it. 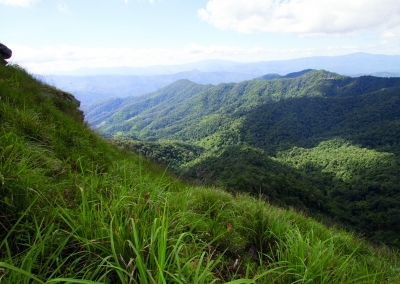 The reward after this 3 km is being at the regional peak – Doi Sam Liem. From here the next 6km descent down to where we will be spending the evening this will all be single track. 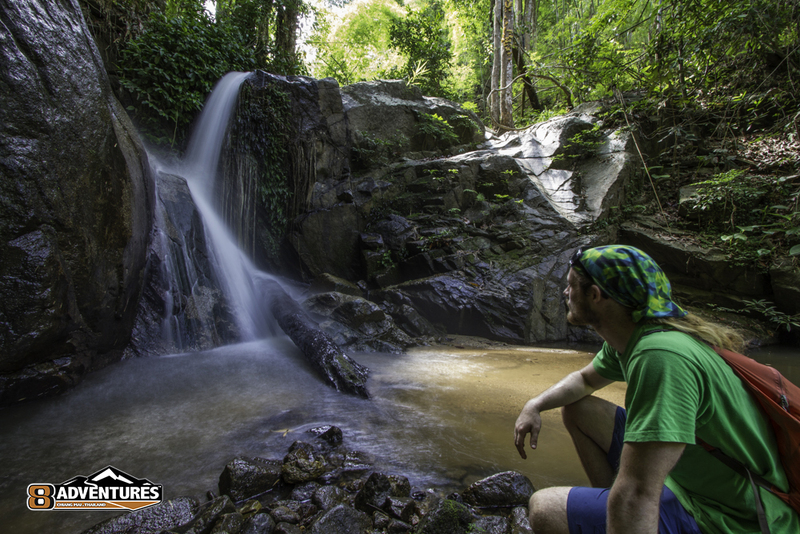 The trek passes through uncommon evergreen forests which later to turn into rainforest as we lose elevation. When the forest clears we enter fields that bloom in flower at the right time of year. The evening will be spent with a walking village tour which provides insight to hilltribe village life. This will be a Lahu Village hill tribe. After dinner local children will often appear dressed in vibrant traditional clothing and tell stories of their heritage passed down in song. 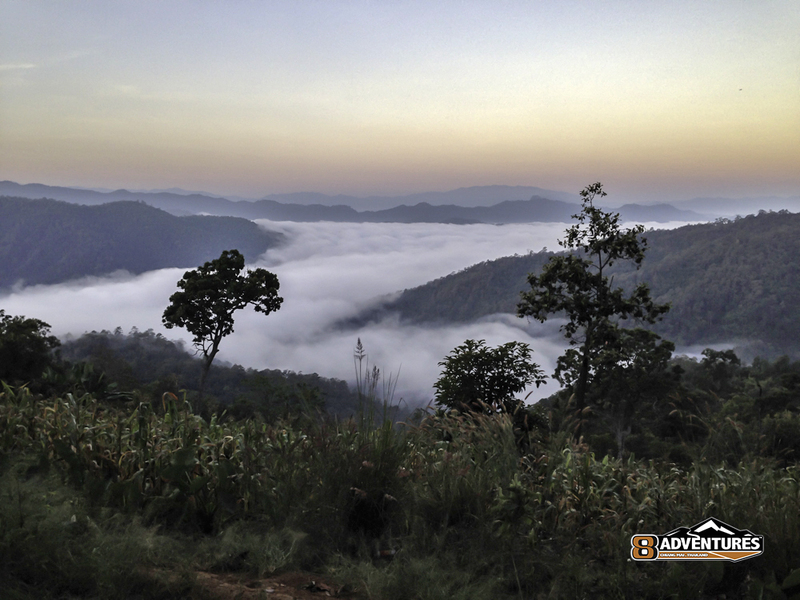 In the mornings here, we can often witness a spectacular sea-of-fog that fills up the valley floor below. After breakfast we will continue our trek down the mountain. 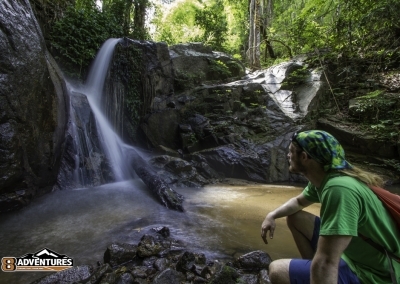 Approximately 8 km in length this portion descends a total of 600 meters passing 4 waterfalls – some of which are possible to swim in, a fantastic way to cool off half way! 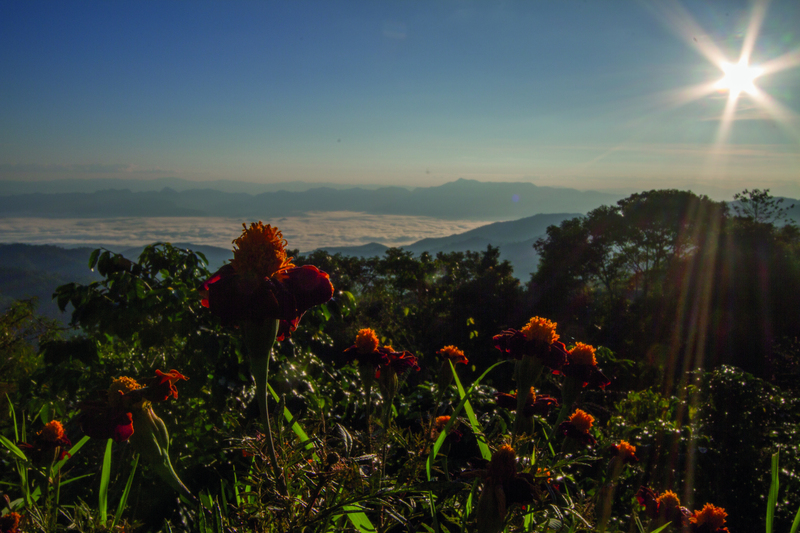 The trek passes through both subsistence fruit and vegetable farms, coffee plantations, bamboo forests and of course the thickest of jungles. We arrive back at Camp for lunch and a relaxed afternoon after our hiking. 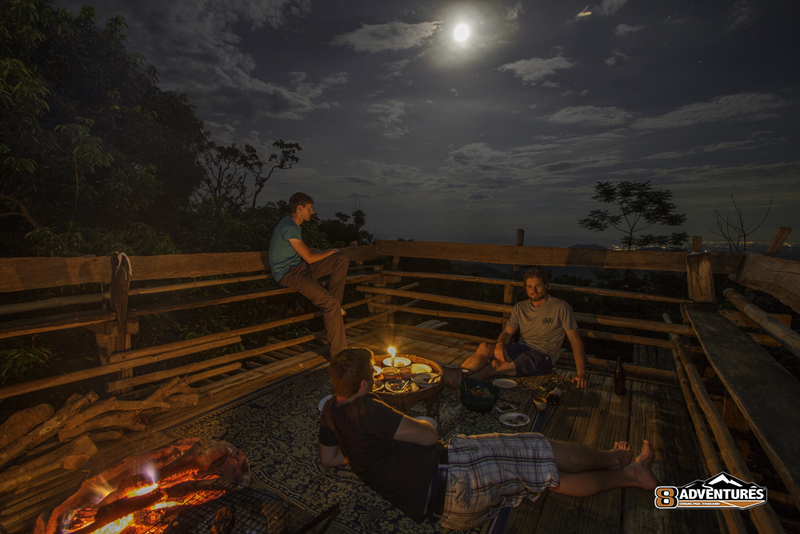 This evening we will light a BBQ and enjoy the fire roasting marshmallows. 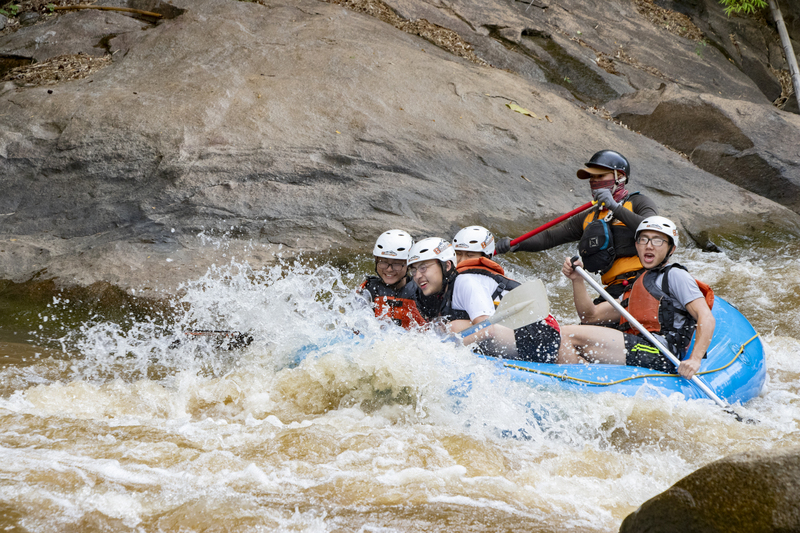 Today is our day of exciting whitewater rafting. 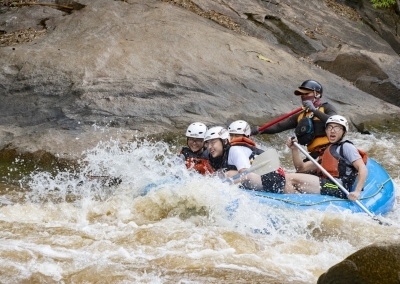 We will spend 3 hours on arguably Thailand most exciting whitewater, arriving back at Camp for lunch. 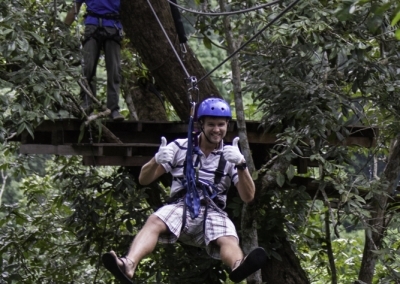 After lunch we will soar through the canopy on one of Chiang Mai’s most thrilling activities – ziplining! In the evening we will wind down and reflect on our expedition, the challenges overcome, the feats accomplished, and the memories made. After breakfast, depending on schedules and plans we will either return to Chiang Mai to conclude the trip or alternatively spend the morning with one of our other options.